Some of the Lake Martin Marinas provide the convenience of buying a boat and boat accessories to boat repair. Other marinas provide the other necessities while boating on the lake such as filling up with gas, offering plenty of snacks, food and drink. 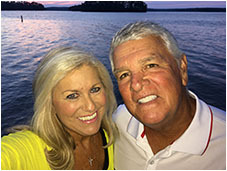 Patsy and Buzzy Wagenfuehr served as our realtors in the sale of two separate Lake Martin properties. Our experience with them was very positive in both cases. They were always very professional, knowledgeable, and reacted quickly to all needs. If we ever have another need for their services in the area, we would definitely want them to work with us. We will also highly recommend them to others who might have need for their services.